The vast majority of workers (71% Percent) are actively looking for a new job. That according to a survey by the nonprofit group Mental Health America and the Faas Foundation. That means most workers want to leave — nearly three out of every four employees. The main reason for worker unhappiness: lack of recognition. The 2017 Mind the Workplace report surveyed more than 17,000 U.S. workers in 19 industries and found that 71% were either “actively looking for new job opportunities” or had the topic on their minds “always, often or sometimes” at work. Only 19% said they “rarely or never” think about getting another job. 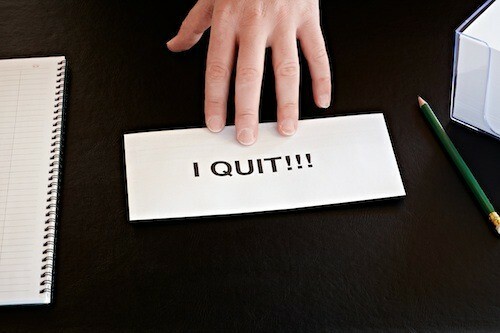 What is a CEO to do to reduce the impulse to quit? Research on workplace wellness confirms that work environments that provide positive recognition and reward, and promote professional development generate higher levels of employee engagement, promote quality employee performance and increase organizational stability. When most workers want to leave, workplace perks and benefits make a difference. Workplace perks/benefits have been identified as key factors that influence working conditions, and are predictors of employee engagement and workplace stress levels. Research on workplace perks confirms that perks incentivize employees, boosting productivity and improving workplace morale. Organizations offering perks that exceed basic benefits (insurance and office benefits) create a work environment that convey an interest in attracting and retaining its employees. Flexibility Work Arrangements/ Workday Flexibility: Flexibility in structuring your work schedule to allow for personal demands and needs. Open door and relaxed work environment: accessibility to management; two-way communication (feedback) is encouraged. Opportunities for professional growth: trainings to enhance company knowledge and employment skills; increase responsibilities/duties; continuing education.